Minimal Scandinavian Furniture By Designer Carlos Jiménez - Your No.1 source of Architecture and Interior design news!
. Published on February 2, 2016 . ‘Kaaja’ is a furniture collection designed by Carlos Jiménez for the new Swedish brand called By.Enströms. The collection is mainly inspired by the classic Scandinavian furniture design and is also influenced by Mediterranean and Japanese styles. Kaaja is the first furniture collection from the new brand By.Enströms which is based in Tibro, Sweden. This collection that consists from several cabinets/sideboards and one coffee table, represents the brand values of passion about wood and traditions. 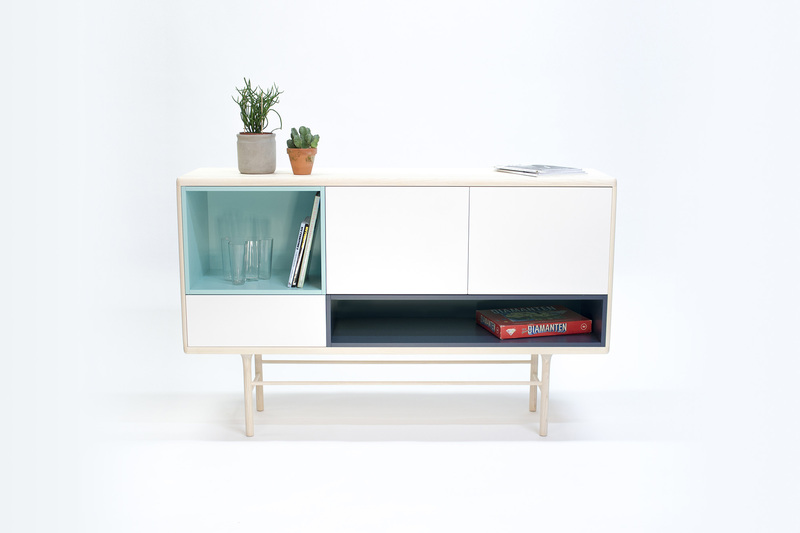 It is an interpretation of the classic Scandinavian cabinets that were made in the same factory around 50 years ago. The furniture pieces from Kaaja Collection combine the classic design with the new forms and shapes inspired by Mediterranean and Japanese cultures. The collection consists of a modular system that can be adjusted by choosing the size of the cabinet, legs and inside modules. The colours and the finishes for the wood can also be choosen from many variations. Made in ash and lacquered MDF, Kaaja is a timeless collection that can fit in different environments. Carlos Jiménez is a young Spanish designer. He began his studies in Málaga and after three years, in 2011 he moved to Sweden. Carlos represents his style as a mix between Mediterranean influences and Scandinavian design and he always try to combine traditional and new materials into new shapes and products.